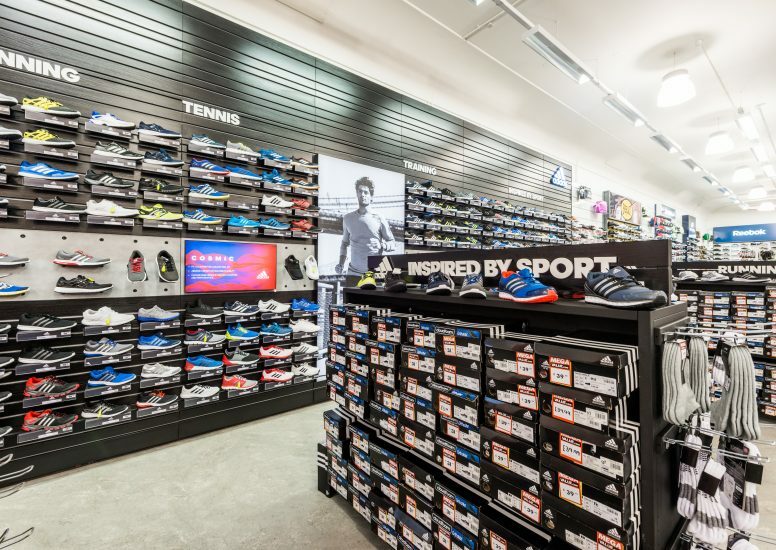 We were recently tasked with redesigning the Adidas concession within Sports Direct Southampton. The new space incorporates black textured wood, concrete and light boxes. Each of these elements provides varied textures and focal points to engage the customer. This area is now impactful yet functional and easily shopable. 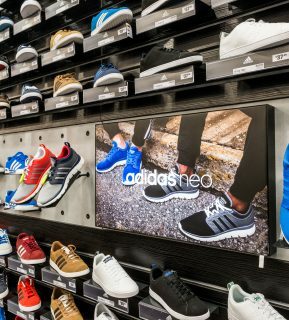 Big headers and large illuminated logos reinforce the Adidas branding and create an eye catching space in contrast to the white used by Sports Direct in the rest of the store. 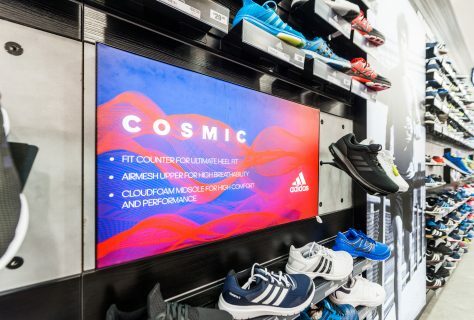 The central hero strip ties in with Sports Direct’s retail design, but with Adidas choosing concrete, light boxes and product to be displayed in this one strip it becomes more of a focal point and highlights the product. Including in the space is also free standing fixtures and seating which provides convenience for the customer and enables more product to be displayed.